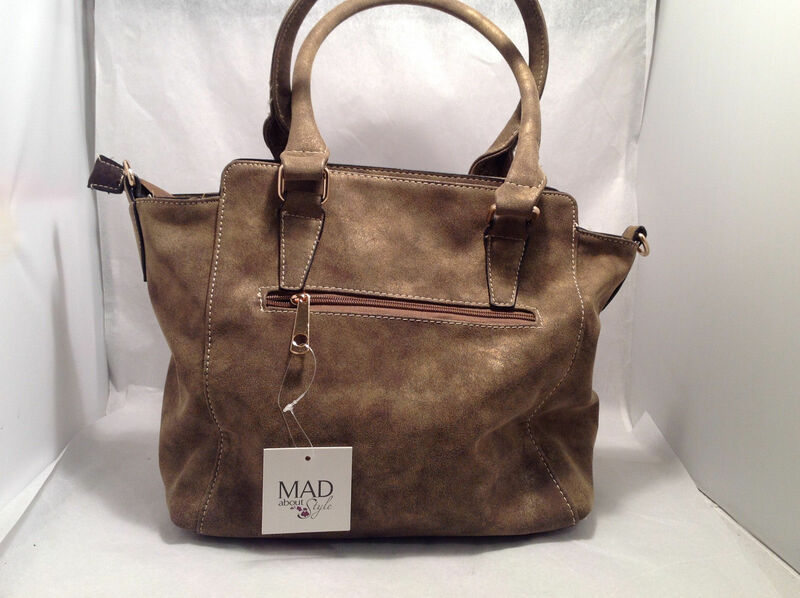 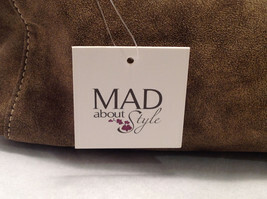 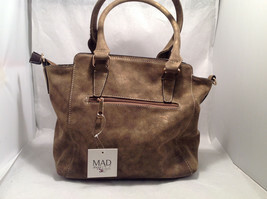 This is a Mad About Style women's medium-sized satchel handbag with a convertible shoulder strap that allows it to be worn as a crossbody bag. 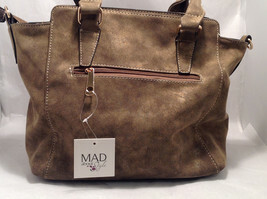 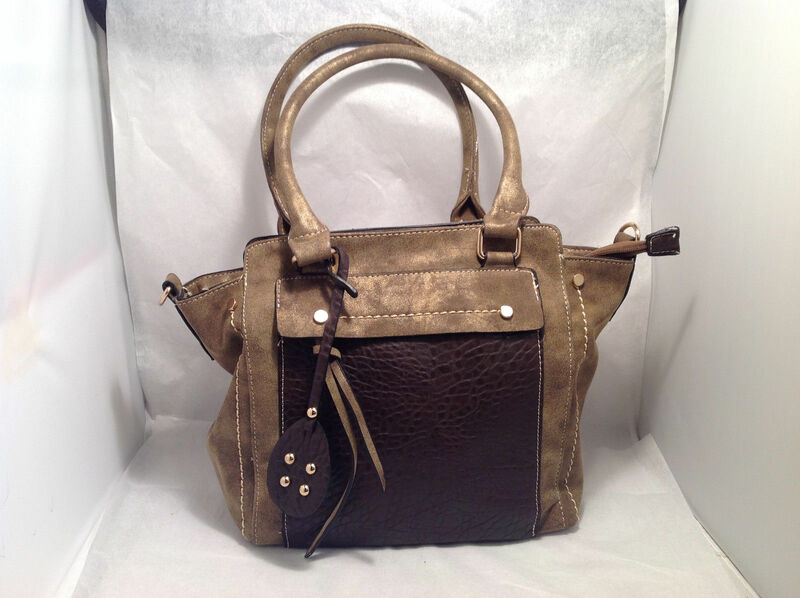 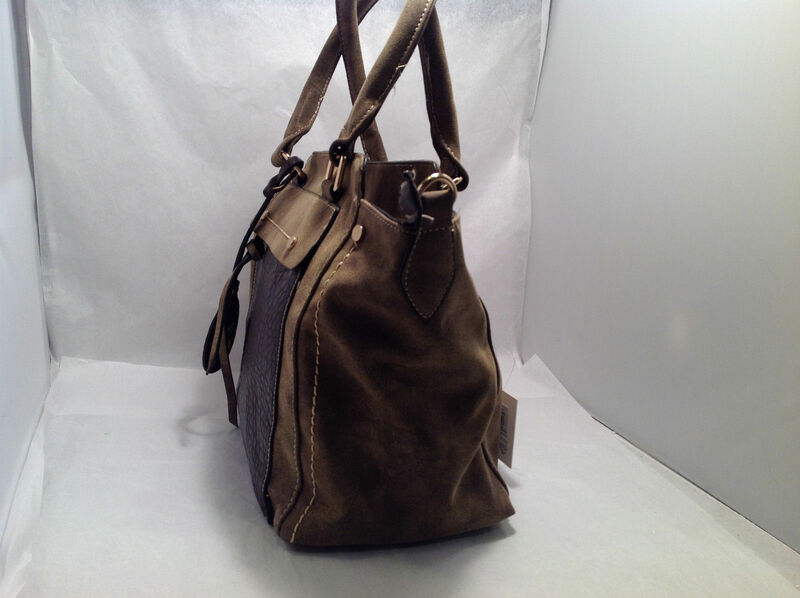 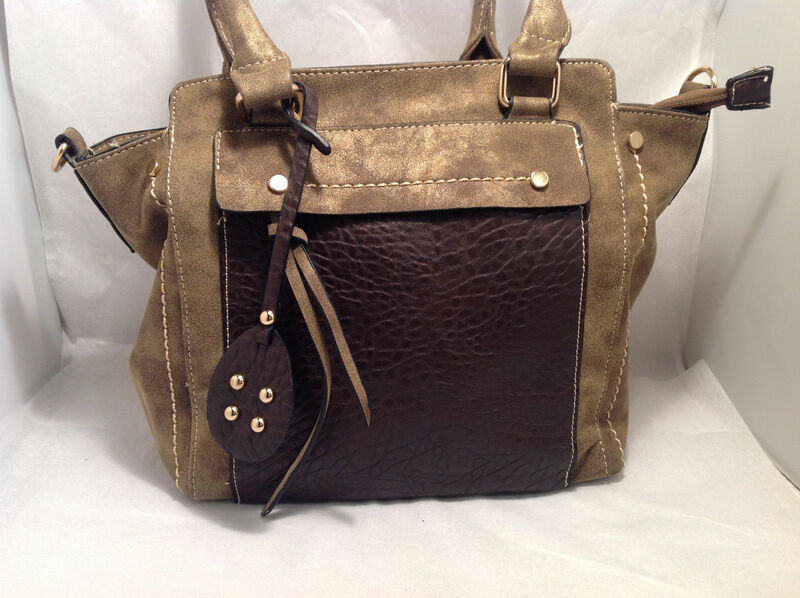 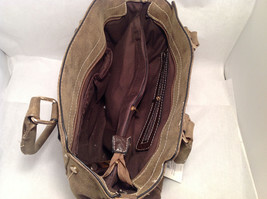 Crafted from a suede-like brown material with a brazen sheen, this bag features a chocolate brown pebbled panel accent, contrast stitching, studded tag detail, zippered outside pocket for ease of access, and gold-tone hardware. 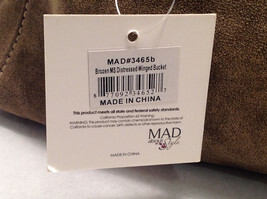 Please check the following measurements to ensure that the sizing is right for you!